Most people think arthritis is solely a joint disease. Depending on the type of arthritis, there can be systemic effects of the disease, complications, and comorbid conditions. 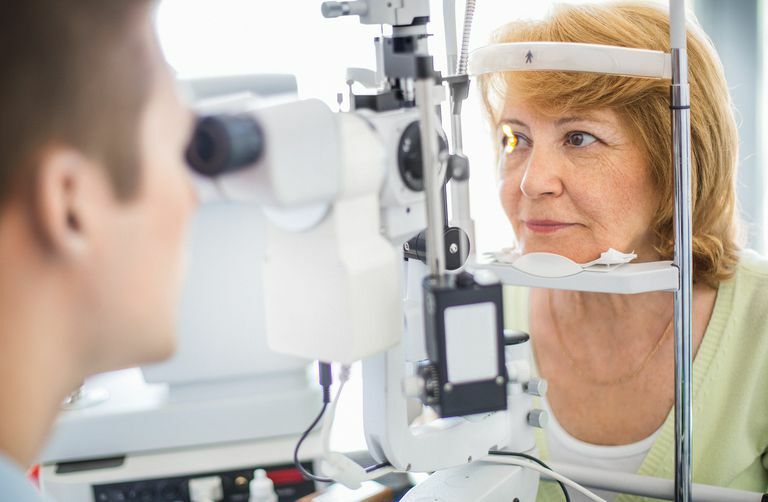 For example, the systemic inflammatory conditions that include rheumatoid arthritis, systemic lupus erythematosus, Sjogren's syndrome, spondyloarthropathies, vasculitis, Behcet's syndrome, and dermatomyositis, can be associated with eye problems. The eye is a complex structure. The front portion of the eye includes the cornea and the lens. Both are avascular structures (without blood vessels) normally. There is an anterior chamber filled with aqueous humor (watery fluid). The anterior uvea includes the iris and the ciliary body. The posterior part of the uvea is called the choroid, a highly vascularized tissue that sits just behind the retina. Any portion of the uvea can become inflamed, as well as surrounding tissue. The white outer covering of the eye is called the sclera. The sclera and cornea meet to form the limbus at the front of the eye. The retina is the most interior part of the eye—the part that is an extension of the brain and is capable of responding to visual signals. If you are experiencing vision abnormalities, you should consult your physician, preferably your rheumatologist. You will likely be given a referral to see an ophthalmologist. The signs and symptoms you may experience depend on the part of the eye which is inflamed or somehow affected. In some cases, delaying treatment can result in blindness, so take it seriously and have your symptoms evaluated. Keratoconjunctivitis sicca is more commonly known as dry eye syndrome. It is the most common eye problem associated with rheumatoid arthritis, with a prevalence between 15-25 percent. As you would expect, the primary goal of treatment of dry eye syndrome is to replenish tears and preserve the tear film. As its name suggests, uveitis is inflammation of the uvea which results in swelling and irritation. Anterior uveitis, the most common type of uveitis, is associated with inflammation of the front part of the eye. Since the iris is often the only part involved, it is sometimes called iritis. Posterior uveitis affects the back part of the uvea, mostly involving the choroid. When the choroid alone is involved, it is called choroiditis. When the retina is also involved, it is called chorioretinitis. Yet another type of uveitis is pars planitis which is caused by inflammation of the narrowed area (pars plana) that sits between the iris and the choroid. Symptoms of uveitis may include blurred vision, eye pain, dark spots that float, sensitivity to light, and redness of the eye. Anterior uveitis typically goes away in a few days to weeks, with treatment. Posterior uveitis can last from months to years and may cause permanent damage, despite treatment. Oral corticosteroids or steroid eye drops are typically used to treat uveitis. Some statistics: About 80 percent of uveitis that occurs in children is associated with juvenile rheumatoid arthritis. About 50 percent of people who develop anterior uveitis are positive for HLA-B27. About 80 percent of people with HLA-B27-associated anterior uveitis also have one of the spondyloarthropathies. Scleritis is caused by inflammation of the sclera. There are five classifications of scleritis: diffuse anterior, nodular, necrotizing, scleromalacia perforans, and posterior. A painful, red eye is characteristic of diffuse anterior, nodular, or necrotizing scleritis. With scleromalacia perforans, pain can vary and a characteristic nodule (much like a rheumatoid nodule) develops on the sclera. Pain also is variable with posterior scleritis. Blurred vision, tearing of the eye, sensitivity to light and red patches on the white part of the eye may also occur. People with scleritis can develop other eye problems, such as uveitis, glaucoma, optic nerve edema, and retinal or choroidal distortion. Severe scleritis can cause thinning of the cornea which can lead to partial blindness. Conditions typically associated with scleritis include granulomatosis with polyangiitis (may be early onset) and rheumatoid arthritis (usually with long-term, seropositive RA). Rheumatoid arthritis accounts for 18 to 33 percent of cases of scleritis. Treatment of scleritis may start with nonsteroidal anti-inflammatory drugs and progress to oral prednisone, steroid eye drops, or local steroid injections. Scleritis is often persistent, lasting for years. The Eye and Rheumatic Diseases. Chapter 44. James T. Rosenbaum. Kelly's Textbook of Rheumatology. Ninth edition. Elsevier Saunders.